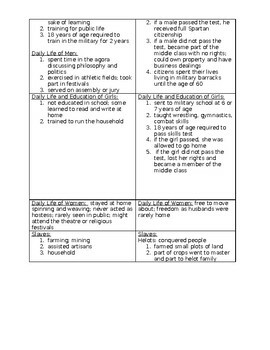 This is a chart that allows students to use their prior knowledge (and/or notes) to write down important details about ancient Athens and Sparta. 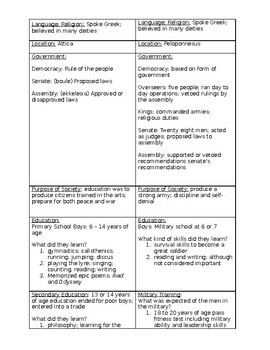 There are different categories, such as government, education, and daily life. 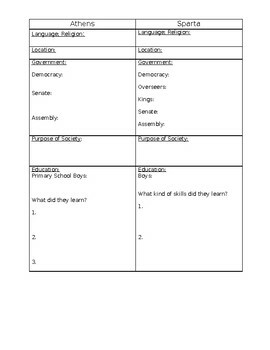 This chart can be used in group activity or as assessment. It includes an answer key.